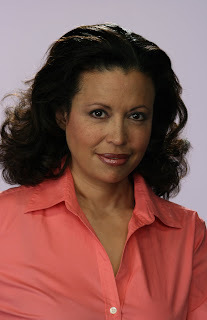 Sandra Nutt: I’m an actress, producer and a lawyer who has owned and operated a licensed California production company since January 1, 1999 (http://www.riprapentertain.com/). My company has owned its own 60-seat playhouse, where we produced many reviewed stage plays and a television series that ran for 52 weeks on independent television station KVMD, reaching all of Southern California. We also produced several film shorts and one full-length motion picture. I’m also an award-winning screenwriter. My professional career started in New York City on stage with John Amos, Samuel L. Jackson, Charles Fuller, Douglas Turner Ward, Charles Weldon and on and on. I served as a consultant for sexual harassment in the entertainment industry on Prince of Swine. SN: Well, I haven’t actually seen all of the film yet, only bits and pieces, and I read the script, but as nearly as I can tell Prince of Swine is sort of hell with the lid blown off on entertainment, law and I guess just women and feminism – i.e., on any given day in the system between men and women, this sort of lunacy is happening. I’d say Mark’s making it up, but you can’t make this sort of stuff up, nothing could be loonier than what’s actually happening in real life. SN: Honestly, as a producer, business owner, lawyer, woman or even a feminist (if I were a feminist), I live with the reality of the eventual sexual harassment suit from a woman against one of my employees or associates. Something like that can completely destroy a business. Today’s society demands that we have harassment laws, but I think the climate, more often than not, is about revenge, power, or shaking down a company, not saving the underdog from real harm. SN: I don’t consider myself a feminist, and that's one of the main reasons I don't consider myself a feminist. But, if I were a feminist, I’d make damn sure I was there to help all women. Not just the ones who agree with me or passed some feminist litmus test. I think real women just need men with enough balls to let them be women. Does that make me a feminist? I don’t think so. I think maybe I just flashed my hole-card. The word feminist means so many different things to so many different people, most people assume I'm a feminist when they meet me, but honestly I'm not even sure what feminist means nowadays. SN: Please. Men are merely our messengers. The smart ones don’t forget that and live to please us. Only then will they be happy. SN: Some of these guys aren’t putting up much of a fight, I gotta tell ya’. It’s sad. They’ve really been whipped. SN: What I’ve seen it’s pretty evenhanded and illustrative, blowing up a lot of sacred cows, but weirdly romantic in a cracked sort of way about feminism. I think Mark Toma more wants to make a fun movie, and at least knows what the most beautiful thing to write about is. Women! SN: Well he made a movie like this without getting sued once, that means he’s either completely ethical or completely asexual. I’m sure there’s a couch in a shrink’s office somewhere with Mark’s name on it. I know mine’s out there somewhere, just waiting to be found. If you want to be in either law or show business, or deal with men and women (or both together!) that’s my advice: get help, you’ll need it.